TitanFall has been revealed to be Respawn Entertainment’s first game today. 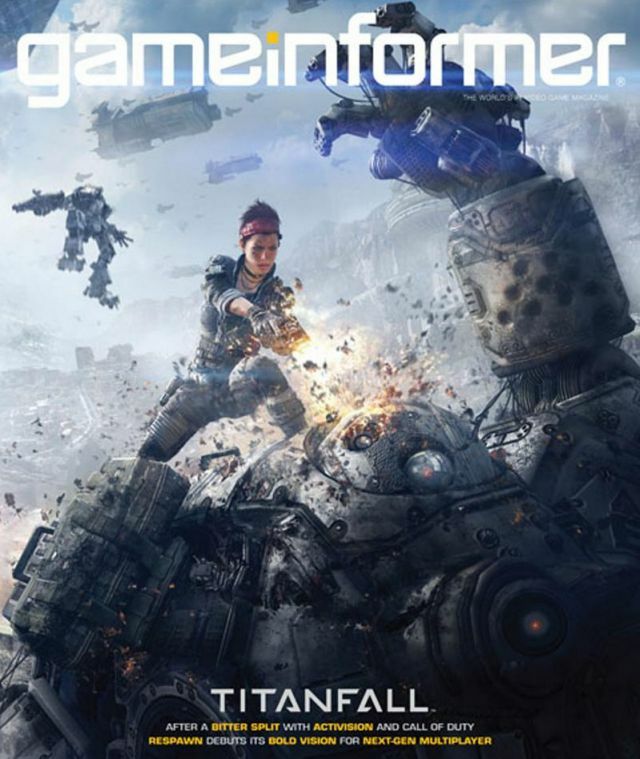 A member over at NeoGaf has received the July issue of Game Informer early and the issue blows the lid on what we now know as TitanFall. TitanFall is a sci-fi shooter allowing players to use Mech’s known as Titans. As of now the game is in development for the Xbox One and PC, however there may also be an Xbox 360 port handled by a separate team. – They said they needed to focus on fewer hardware. In the future they are open to more. They don’t specify if it would be this project or another. – Campaign Multiplayer, “traditional” multiplayer mode, and a “One-Player Mode”. – There are a good amount of screens. In my opinion it visually looks pretty nice. – “Mech’s” are called Titans. – They want these Titans to feel fast. They can dodge etc. – If you don’t want to pilot the Titan you can have it follow you, killing people as it goes along. – They are extremely agile. Can run on walls, multiple jumps. – They can take down Titans. Jumping on them and shooting the “brain”. – You need to be cunning as a pilot. “Hit and fade” tactics is the term the game director uses. – Pilots come equipped with a variety of weapons. Pistol, Assault Rifle, Anti-Titan Rocket Launcher, data knife used to hack AI characters into joining you. – There are AI enemies on the maps. – You survive longer than in COD. Making it more welcoming to newcomers. – Source Engine. Building new engine = too much time. – Modified Source – “Rewriting major portions of it”. – Article talks about the process of forming the team, being fired, prototyping ideas etc. I recommend reading it. – Going for a District 9 or Blade Runner vibe. – Integrate memorable single player moments into a multiplayer game. – Storytelling style will be more Left 4 Dead. – Humans segregated between Earth and frontier planets. Corporation trying to take the resources of these frontier people. There was also a quote on Respawn’s reasoning behind the Xbox console exclusivity. “They thought working on PS4, Xbox One and PC would prove too difficult for a small team, so they decided to focus on one console instead of two. (er…). “Not to say we won’t [go multiplatform] in the future, but for our first game we wanted to focus on making the best game we could.” – When Game Informer asked them about developing on next-gen specs Respawn gave some very insightful answers. It goes to show that the limits of these consoles won’t be reached for years. There’s lots more information in the original Gaf thread so be sure to check it out. No doubt we’ll be hearing much more about TitanFall next week at E3, so be on the look out for more details here at The Koalition.